1. 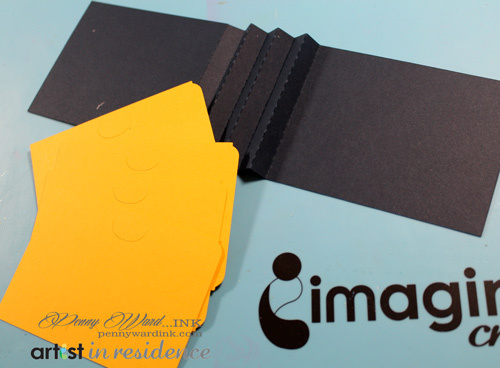 Cut gift card pieces with Silhouette Cameo. 2. Mask off front cover and stencil with a palette knife and Creative Medium Gold. Let dry. 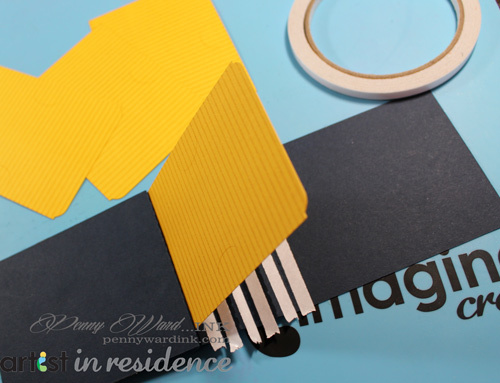 Stamp a good size scrap of Yellow cardstock with Pinstripe stamp and Delicata Golden glitz. Trim into an angle so it covers the lower right half of the gift card front. 3. 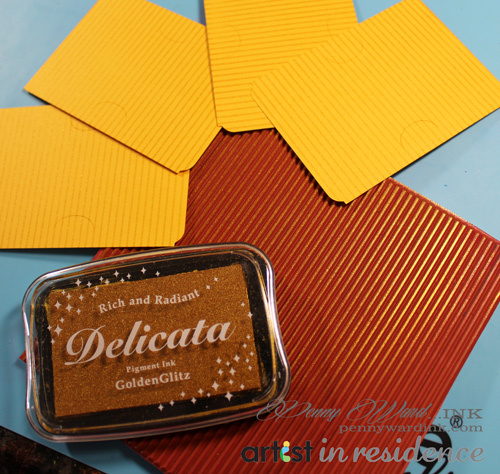 Stamp each of the Yellow inserts with Delicata Golden Glitz, let dry. 4. 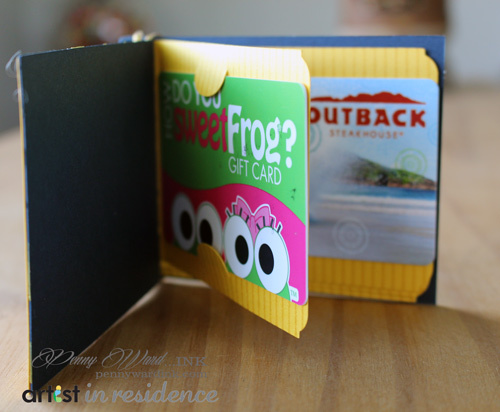 Assemble Gift card as shown using Scor-Tape. 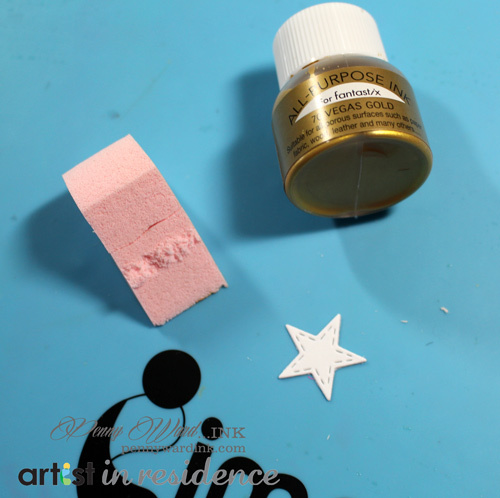 HINT: Using eight pieces of Scor-Tape, remove backing from two, position Yellow insert and squeeze tightly. 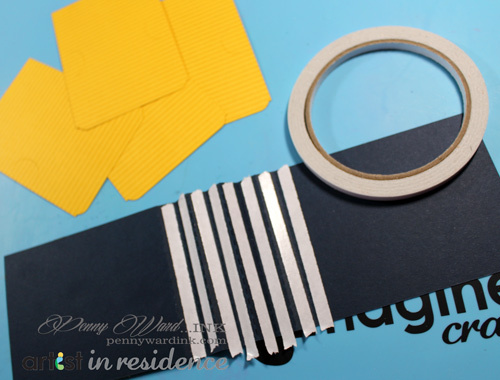 Do this 3 more times to make your Gift Card Organizer. In other words...don't remove all the tape backing at the same time. 5. Die cut two stars (one medium, one small). 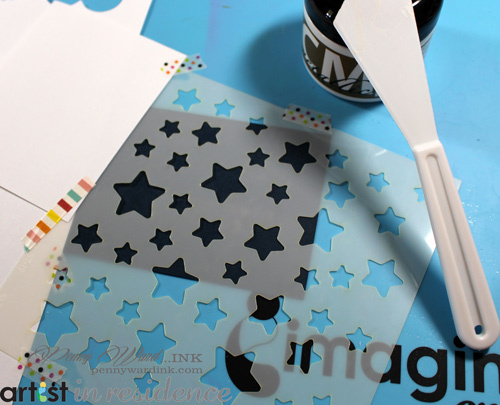 Ink the smallest star with Vegas Gold All Purpose Ink and an Inkblusher. Let dry. 6. Die cut Sentiment from fun foam, coat with irRESISTible Pico Wedding Dress, let dry. 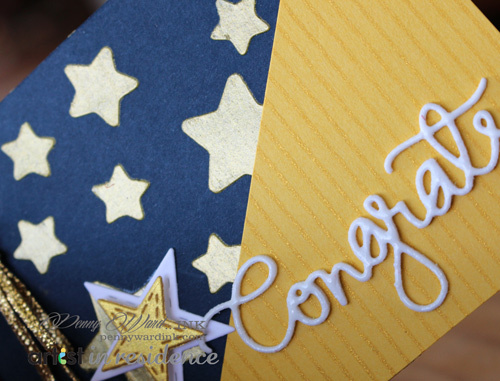 Assemble card adhering stars, sentiment and tying a bow with gold cord.